UPDATE: I didn’t realize until Colleen pointed it out to me, but there is also a $5 off $10 in the April All You! That makes it even better!! I am so excited, I am beginning to get back in the swing of things! I was able to do a small trip to CVS today with my husband. 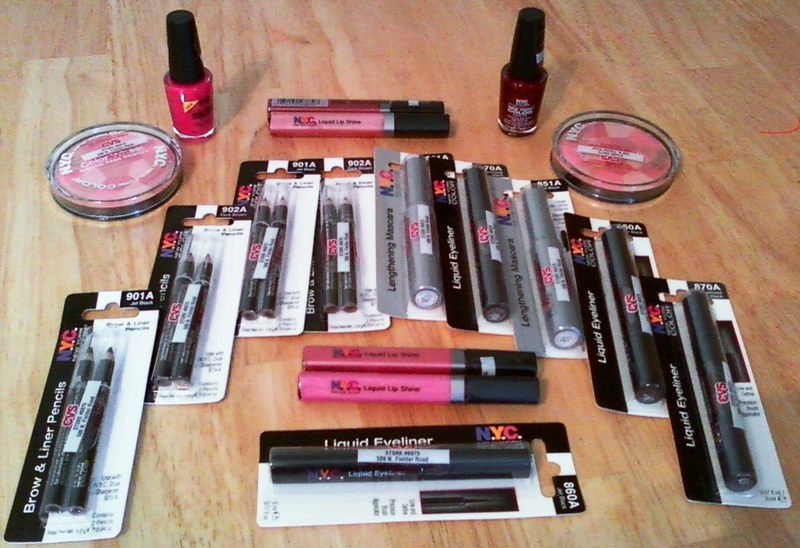 I got $41.82 worth of cosmetics for only $3.45!! Yay! So Fun! The deal I told you about earlier is not just for nail polish and eyeliner, I was able to get mascara and brow pencils and lip gloss as well! I was out of blush so I bought two of those as well. They were $4.99 each and I still only paid $3.45 with tax! Check it out! I got 2 blushes, 2 nail polishes, 4 lip glosses, 2 mascaras, 4 brow pencils, 4 liquid eyeliners! !